Kim Hollis: Fantastic Four kicked off its opening weekend with $25.7 million, well below tracking estimates *and* the 2005 film featuring the same characters. What went wrong here? 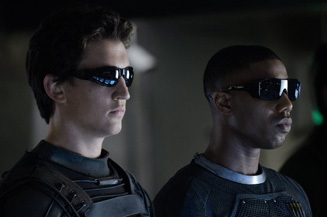 Matthew Huntley: I think a few different factors sealed this Fantastic Four reboot's fate: a) Not many people were fans of the 2005 original or its 2007 sequel. The general consensus was that both movies were too silly, light and stupid and therefore couldn't be taken as seriously as other comic book adaptations. With this in mind, few probably had much reason to give the franchise another try, even though this new version clearly has a darker, more serious tone. b) Speaking of tone, the reboot's is, in fact, darker, and my friend Eric, who's read practically all the FF comics, argued this totally goes against the source material, which may have upset many ardent readers who would have otherwise lined up to see the movie. But with such a tonal change from comic to movie, they probably felt betrayed and simply chose to ignore the movie altogether. c) Fox released it in August, which usually means two things: the studio didn't have much faith in it to begin with (something mass audiences are becoming more and more privy to); and, with few exceptions (e.g.Guardians of the Galaxy), a lot of moviegoers are simply "blockbustered" out at this point in the summer and are looking for other ways to spend their time/money. Given the way Fantastic Four has performed, I'd be curious to see if it gets some Razzie nominations, which I wouldn't have expected just a week ago.